All-season tires are supposed to be able to perform well on dry and wet roads. If you are looking for a reliable tire that is safe and comfortable to ride, Hankook Optimo H724 is one nice choice. In this Hankook Optimo H724 review, we will see the positive qualities of the tire as well as some of its potential limitations. Hankook Optimo H724 is available in various sizes. There are many options that you can choose from. Due to the wide range of available sizes, Hankook Optimo H724 is compatible with various vehicles. So, make sure that you know the right size for your particular vehicle. See also: Cooper Zeon LTZ Review. There are 14”, 15”, 16”, and 17” tires available. 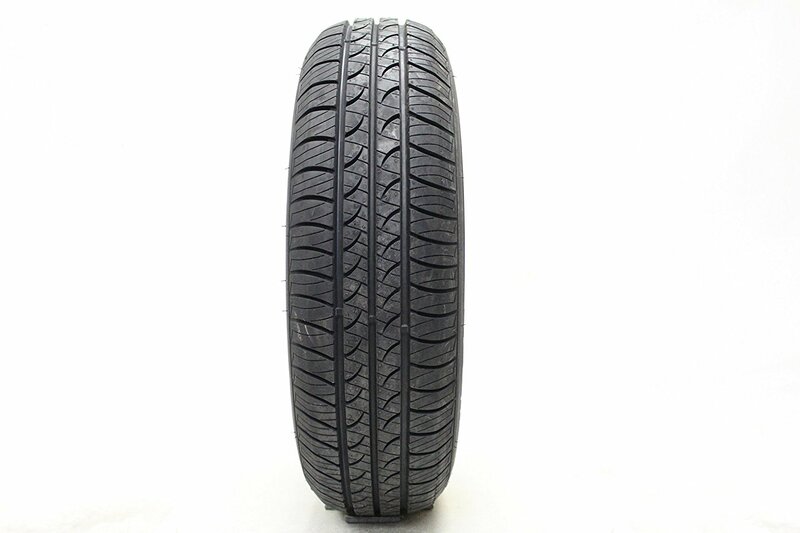 You can find the specifications of the tire size 235/75R15 below. For the complete specifications of all the tire sizes, you should take a look at Hankook’s official website (https://www.hankooktire.com/us/passenger-cars/hankook-optimo-h724.html). Many users have confirmed that Hankook Optimo H724 is compatible with their Roadmaster, Chevrolet Impala, Dodge Neon, Mustang, and Ranger. It is also suitable for some Japanese models, including Honda Civic, Toyota Yaris, Prius, Corolla, and Camry. Cheap all-season tires often fail terribly in balancing precise handling, good comfort, and low road noise. Some models are even total garbage. However, Hankook Optimo H724 is one that manages to score well in all of those aspects. The tire is comfortable to ride. It does not cause much vibration. It remains unperturbed when rolling through a harsh road surface. On the highway, when driving at a high speed, the tire is still comfortable and solid. It easily wafts over the waved parts of the road. The nice thing about Hankook Optimo H724 is that it is really silent. All thanks to the sophisticated pitch design. The tread elements have been arranged to minimize pitch noise. It does not make noise when driving at a normal speed. It is still whisper-quiet when on the highway. Well, there is a low tire roar when you are driving with an above-average speed, but the noise is not loud enough to distract. Nevertheless, if you usually only drive at normal speeds, you will be impressed by the comfort and quietness offered by Hankook Optimo H724. On dry roads, there is nothing much to report about Hankook Optimo H724. It works well. The tires provide good and reliable traction. You will never feel as if the tires are struggling to grip onto the road, even when you are speeding or turning on a tight, winding corner. The performance is still good on wet roads. The traction may go down a little bit, but not significantly. You still can drive safely at normal speeds. 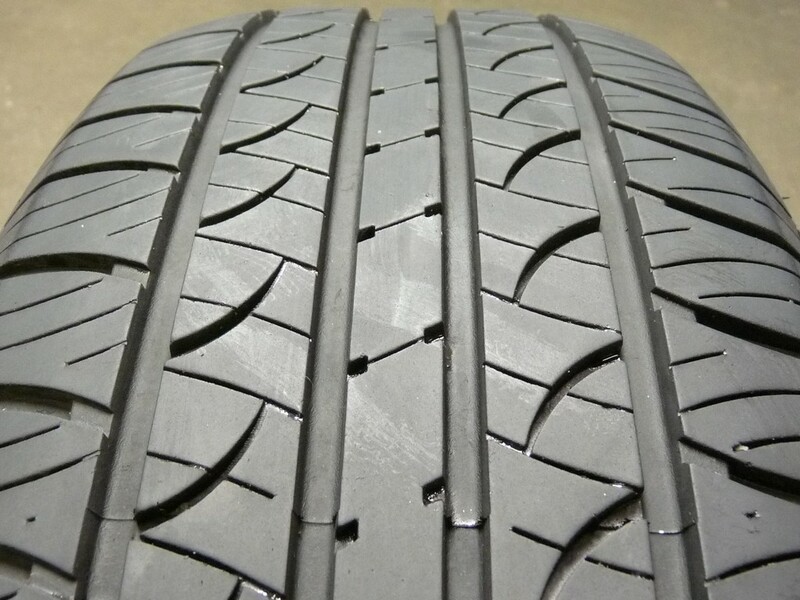 The sipes on the tire effectively evacuate water to prevent hydroplaning. However, it is still highly recommended that you don’t speed in rain. You can’t really know how much water that is on the road, and too much water brings more risk of hydroplaning. In light snow, Hankook Optimo H724 is pretty good. It is still able to grip well on snow-covered roads. The traction is noticeably reduced in light snow, but you can still drive safely with normal speeds. However, you should not push it too much. It won’t be able to face heavy snow, and icy slush will be very dangerous. So, Hankook Optimo H724 can give you some time to prepare real snow tires at the start of the snow season. According to the user reviews, Hankook Optimo H724 is able to last for 40k – 60k miles. This is not bad at all. After all, the tire is relatively inexpensive. For the price, the tire’s longevity is already good. The company claims that the tire is made from an abrasion-resistance tread compound and high-hardness bead filler. For the first miles, the tire doesn’t show any visible treadwear. The tire also has decent durability to withstand road impacts. The construction ensures that the tire can withstand all road conditions. It has a single-strand bead wire and a light-belt cord that is made from a certain new material. This light-belt cord is said to be lighter yet stronger, and is specially designed to reduce fuel costs and to improve steering safety. If many roads in your place are harsh and coarse, Hankook Optimo H724 may last for slightly above 40k miles. But if the roads are smooth, and you only drive at normal speeds without frequent abrupt braking, the tire can easily goes for more than 60k miles. You probably already know that cheap all-season tires often break apart quickly. So, it is quite relieving to know that there is an affordable all-season tire with good wear characteristics in Hankook Optimo H724. Hankook Optimo H724 is backed with a solid warranty. It has a 5-year or 70k-mile tread warranty. It also has a 1-year or the first 2/32-inch warranty that covers the tire’s uniformity and road hazard wear. Meanwhile, the workmanship and materials are warranted for 5 years; this also includes free tire replacements in the first year or the first 2/32-inch wear. After a warranty claim, a prorated warranty is given according to the remaining time period or the remaining of the 2/32-inch limit. For a set of affordable tires that can perform reliably on highway roads and in rain, Hankook Optimo H724 is an excellent choice. It is available in various sizes, so there is a very good chance that you can find the right one for your vehicle. It is comfortable and quiet. The traction is good on dry, wet, and lightly snowy roads. It is also quite durable, and is backed with solid warranty. The arrangements are designed to minimize the pitch noise band fluctuation (60~80th). Lighter yet stronger, helps to save fuel costs and improve steering. Get the best price for Hankook Optimo H724 here!